This is a lifer for me. I have not seen this specie before. Thank you Wolf - you may be interested in this bit of info - I quote from Birdlife Australia. 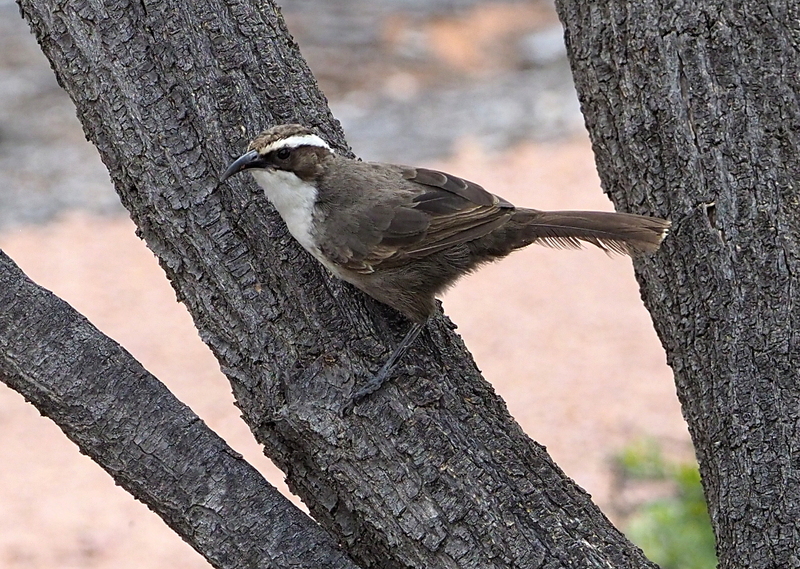 "Unlike most species of birds, the White-browed Babbler not only builds a nest to lay its eggs in, but it also builds a separate nest to roost in. Although the two types of nests appear similar — both are large, dome-shaped with a spout-like entrance, and are made from sticks and twigs — roosting nests are a little larger to accommodate more birds. The brood-nest is built only by the breeding birds, but mostly the female, whereas roost-nests are built communally by all of the members of the flock." Congratulations on the lifer, nice shot of it.